Antibiotics have become a common and effective means of fighting off bacterial infections. But over the course of time, some bacteria may develop resistance to certain antibiotics that makes them more difficult to combat with the same treatment. Some persistent bacteria simply become dormant or inactive when exposed to certain antibacterial treatments, whichhelp them survive. Researchers at the Hebrew University of Jerusalem have found a breakthrough in understanding how some persistent bacteria may be able to survive antibiotics. 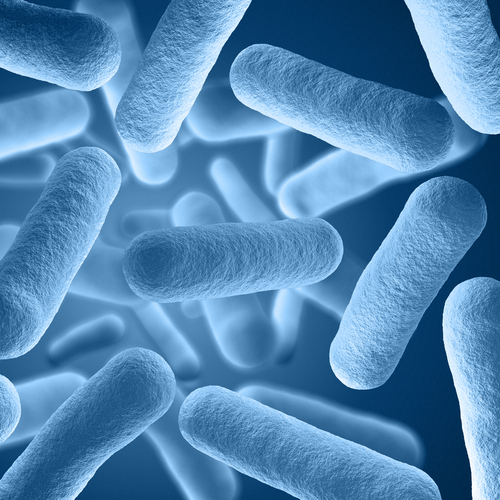 Persistent bacteria are not actually resistant to antibiotics. They just revert to a dormant or inactive state when they are exposed to antibiotics and other similar treatments. They simply resume their destructive path when they sense that the treatment is over. This presents researchers with a dilemma on how to deal with such bacteria. What researchers have known so far is that there is a connection between this type of bacteria and the naturally occurring toxin called HipA found in them. The Hebrew University researchers have discovered the process how persistent bacteria become dormant or inactive during the course of an antibiotic treatment aimed to destroy them. The researchers explained that when antibiotics begin attacking these bacteria, the HipA toxin disrupts the messaging function that the bacteria cells use to build proteins from nutrients. Consequently, the bacteria mistake the disruption as a hunger signal, triggering the bacteria to a dormant or inactive state. When the antibiotic treatment is over, the said toxin stops the disruption, causing the bacteria to awaken and resume their harmful activity. The research was headed by Prof. Gadi Glaser of the Faculty of Medicine and Prof. Nathalie Balaban of the Racah Institute of Physics. Prof. Balaban has invested several years into investigating the biophysical understanding of the said phenomenon in persistent bacteria. Combined with the work being done in Prof, Glaser’s lab that focuses on fighting persistent bacteria, the research team hopes to find more effective ways in trying to combat infections caused by persistent bacteria.